G2R Bible Survey includes eight studies—four in the Old Testament and four in the New Testament. Each study has 13 weeks of material, making the entire program a two-year survey if you teach all 52 weeks a year. However, many of our churches’ ministry calendars are for only two or three quarters, or have other special programs that shorten the children’s ministry cycle. 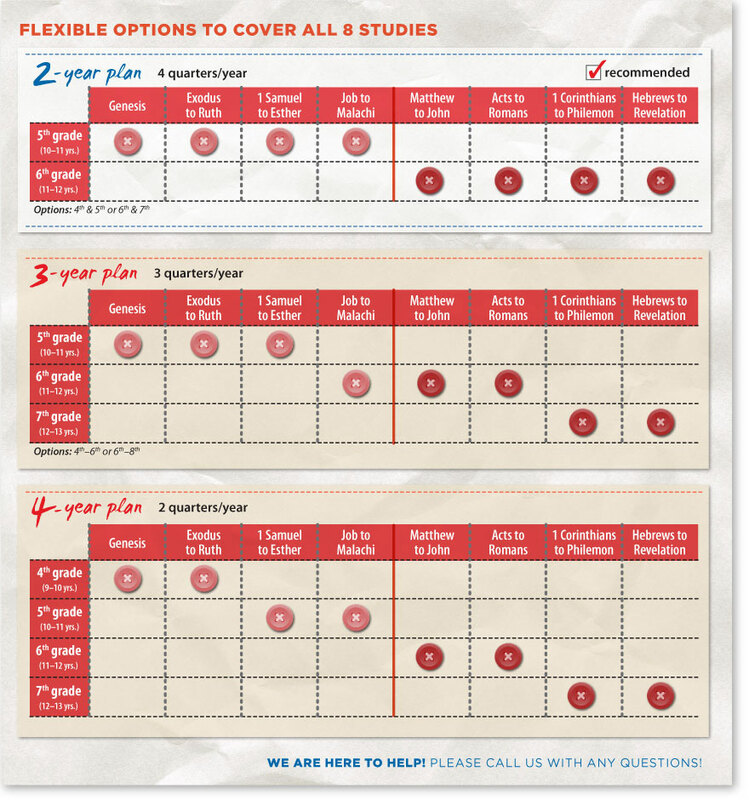 This chart below shows how to cover all eight studies of G2R Bible Survey. It’s essential your preteens and young teens take the entire journey from Genesis to Revelation, as it builds a foundation for later study of the covenant. They will see God’s unfolding plan to redeem a people for himself through Christ—and how they fit into that grand story! How can we partner with your ministry? We’d love to help with questions, planning, or FREE training! Contact us at curriculumspecialist@gcp.org or 800-695-3387. Do you want your students to be unprepared?